For many people, coffee is as essential to daily life as water; there’s a reason you can find a Starbucks on every other corner. The eye-opening effects of the caffeine in a cup (or three) of java is the kickstart a lot of us need to start our day. 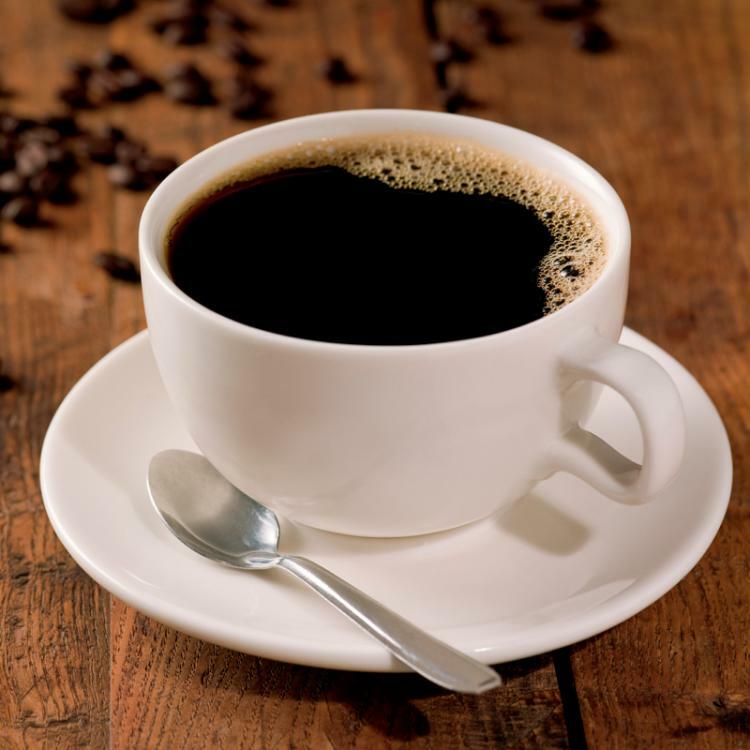 But alertness or jitters aren’t the only way caffeine effects our bodies. Studies suggest that coffee and the caffeine it contains can have a positive impact on the health of our hair, strengthening follicles and reducing hair loss. It’s rich in antioxidants. Healthy hair follicles start with healthy cells. Antioxidants are substances which stimulate and encourage healthy cell production by fighting biological byproducts known as free radicals. These free radicals can damage our cells and stunt hair growth. Since caffeine contains significant amounts of antioxidants, it can limit the damage free radicals cause to our hair follicles. If you are looking to up your antioxidant intake when ordering your next cup of coffee, look to darker roasts such as French Roast or espresso which contain higher levels of these healthy compounds. Coffee, sodas, tea and other beverages are the way most of us get caffeine. But the study which found that caffeine can fight DHT involved applying caffeine directly to hair follicles. A similar study involved applying a shampoo containing caffeine, and many shampoos and other hair care products now contain caffeine and claim to promote hair growth. While these products are by no means a magic bullet for hair growth, they can be part of an overall effort to improve the strength of your hair follicles. However, before you decide to up your coffee intake or buy hair products containing caffeine, you should consult with a physician or experienced hair restoration professional. At the Hair Transplant Institute of Miami, our skilled physicians diagnose and treat hair loss cases that can’t be reversed at home or through changes in diet. Through advanced hair restoration surgery techniques and alternative non-invasive treatments, we can help patients suffering with hair loss. There is no doubt that what is inside of us when we’re born – our genes – plays a large role in determining whether we will have a full head of hair or whether we will experience thinning or hair loss. In fact, a recent study found nearly 300 genetic ties to hair loss. But what we put inside ourselves throughout our lives – the foods we eat and beverages we drink – can also impact the health of our hair and scalp. 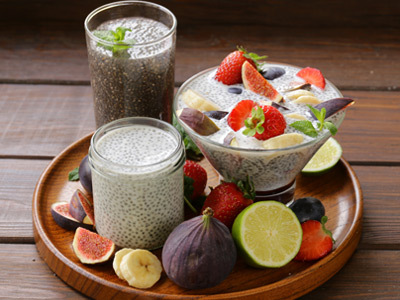 A healthy, balanced diet rich in key nutrients can help boost hair growth in addition to improving your overall health and sense of well-being. Whether as an adjunct to hair restoration treatments or just as part of a healthy lifestyle, incorporating a wide range of readily available “superfoods” into your diet will result in positive change from head to toe. As you may recall from high school biology class, protein and their amino acids are the “building blocks” of the body – and hair. A diet which includes a healthy amount of protein from various sources can be a key to strong and growing hair. Few foods are as rich in protein as nuts and legumes. Nuts also contain a variety of vitamins, minerals, and healthy fats. Try to make nuts like almonds, walnuts, and cashews a regular part of your diet. Salmon and other fish rich in omega-3 fatty acids. For hair health, omega-3 fatty acids keep the scalp hydrated to stimulate follicle function while enriching strands for a shinier glow. Foods such as salmon, sardines, and trout are great resources for boosting your omega-3 intake. Spinach and other leafy greens. A lack of iron is one of the chief causes of dietary-related hair loss. Low iron levels limit proper blood flow – something follicles need to receive growth-stimulating nutrients. Iron-rich foods such as spinach, kale, broccoli, and other leafy greens can boost your iron intake and help feed your hair. As a bonus, spinach contains antioxidants, vitamins B, C and E, potassium, calcium, iron, magnesium and omega-3 fatty acids, all of which can help your hair and scalp. Vitamin C acts as a catalyst for iron to absorb into the blood stream. Eating these two hair boosting nutrients together fosters hair growth. In addition, the antioxidants found in vitamin C, along with its collagen-boosting properties, keep skin, hair and nails looking and feeling nourished. Grapefruits as well as other fruits such as oranges, strawberries and blueberries, contain high levels of Vitamin C necessary for hair growth. Not only are lentils a good source of protein, they also contain ample amounts of iron, zinc, and biotin which promote a healthy scalp and strengthen hair. Next time you make guacamole, you’re also whipping up a tasty mix of omega-3 fatty acids and vitamins B and E which can help protect and strengthen hair. Vitamin B is essential for hair growth, while vitamin E protects your skin and hair from environmental pollutants and sun damage. Sunflower seeds.This healthy snack or salad topping contains a cornucopia of hair boosting nutrients such as protein, zinc, selenium, biotin, potassium, copper, iron, B vitamins, vitamin E, magnesium and calcium. 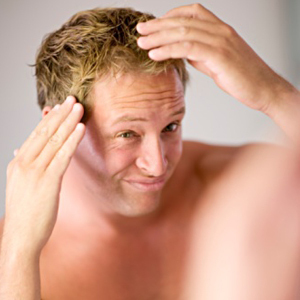 Of course, dietary improvements alone may not stop hair loss or restore your hair to the fullness it once had. At the Hair Transplant Institute of Miami, our skilled physicians diagnose and treat hair loss cases that can’t be reversed at home. Through advanced hair restoration surgery techniques and alternative non-invasive treatments, we can help patients suffering with hair loss. Researchers have long pursued the discovery of stem cell that could quickly and easily reverse the signs of hair loss. Such a cell would function as a proverbial “on/off switch,” giving hair loss physicians the ability to induce new hair growth across areas of bald skin. 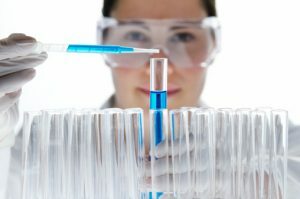 Men and women who suffer with androgenetic alopecia (pattern baldness) would not be the only benefactors; individuals who suffer hair loss following severe injuries, burns, or illnesses could also benefit from a quick and easy hair loss treatment protocol directed through a specific stem cell. This December, a discovery at the University of Calgary indicates that researchers might be closer to this dream. Dr. Jeff Biernaskie, a Veterinary Medicine professor, published research findings in the December 2014 issue of the Developmental Cell journal that identify certain self-renewing cells located in the dermal sheath that play an integral role in managing hair growth. One day, hair loss professionals may be able to target these cells with specially formulated drugs to induce new hair growth in a precise and controlled fashion. Says Dr. Biernaskie, “We hope that we can ultimately stimulate these cells with drugs to replenish or rejuvenate the cells that are responsible for inducing hair growth,” (i). To understand how these self-renewing cells might someday cure hair loss, it’s helpful to first understand the role dermal papilla plays in overseeing normal hair growth. The dermal papilla is a cluster of cells located at the base of the hair follicle. Dermatologists have long understood that this cluster of cells stimulates new hair growth via epidermal cells and the hair follicle. Exactly how the dermal papilla oversees this process, however, has largely remained a mystery until recently. Moreover, research indicates that dysfunctional dermal papilla are common among individuals with pattern baldness. “When you lose your hair, particularly in male pattern baldness, we know the reason you go bald is because of dysfunction of[…] dermal papilla,” explains Dr. Biernaskie. But what if certain neighboring cells could be used to resuscitate dormant dermal papilla? This question became the inspiration for the central hypothesis tested by Dr. Biernaskie and his research team. To identify these potential cells, the team used genetic markers to label individual cells within the dermal sheath. While monitoring the cells, the team made an exciting discovery: A small number of cells within the dermal sheath exhibited the ability to self-renew, creating new cells in each hair follicle. Those new cells included new dermal papilla, which ultimately have the power to facilitate new hair growth. A new study indicates that hair follicles might have turn-ons and turn-offs, just like the men and women. Unlike men and women, the recently discovered on/off switches have nothing to do with preference for the personality, physical features, or proximity of a potential mate. Instead, these turn-ons involve stem cells and a special pathway that delivers a protein referred to as Wnt. The study was conducted at the University of Pennsylvania Perelman School of Medicine. There, a team of scientists has discovered that “turning on” a special pathway known to regulate adult stem cells can trigger the release of Wnt proteins and cause even dormant (hairless) follicles to grow new strands of hair. On the other hand, scientists believe the pathway can also be “turned off” to prevent Wnt proteins from causing hair to grow. While more research is needed to improve our understanding of this pathway, our results suggest that therapeutics capable of decreasing levels of [Wnt action] in the skin could potentially be used to block growth of unwanted hair[…] Conversely, agents that activate Wnt signaling might be used to promote hair growth. Hair follicle health is essential for the growth of full and beautiful hair. Follicles support the growth of each strand, serving as a foundation through which oxygen, protein, and other vital nutrients are delivered. When follicle health suffers, hair can become brittle, fine, and can stop growing altogether. For these reasons, scientists have become fixated on the study and improvement of hair follicle health. The discoveries made by the research team at the University of Pennsylvania noted above are just one example. Around the globe, other research institutions and scientists are studying additional ways to improve the health of hair follicles. Ultimately, the goal is to find a way to wake dormant follicles and nourish them until they can support a normal hair growth cycle. In doing so, scientists believe a cure for baldness will be achieved. One way scientists believe hair follicles can be nourished is through Low Level Laser Therapy, or LLLT. This special treatment exposes areas of bald scalp to FDA-approved lasers that are designed to stimulate blood flow to dormant hair follicles. The lasers are cool to the touch and safe to use in conjunction with other hair loss treatments, like hair transplant surgery, Rogaine®, or Propecia®. The Hair Transplant Institute of Miami is pleased to offer the Capillus 272, a new and completely portable form of LLLT treatment that fits underneath your favorite baseball cap or hat. Patients who use the Capillus 272 enjoy a comfortable, convenient, and personalized treatment at home, in the office, on a morning run, or even on the golf course. To learn more about this new and exciting treatment for hair loss, watch the video below. The Capillus 272 is designed for men and women who want to reenergize their hair with safe, FDA-approved laser therapy. The Capillus may deliver exceptional results when used in conjunction with hair transplant surgery, Rogaine®, Propecia®, or stand-alone. Hair Loss Evaluation. To learn more about hair loss evaluations at the Hair Transplant Institute of Miami, call our office directly at 305-925-0222. Scientists have identified a new gene that may help future hair transplant surgeons provide non-hormonal treatments for hair loss. The discovery is a culmination of efforts from research teams across America, including those from Columbia University, Rockefeller University, and Stanford. Researchers have named the gene adenomatosis polyposis down-regulated 1, or APCDD1. The discovery of the APCDD1 gene is important to researchers, surgeons, and individuals who suffer with a variety of hair loss conditions. The gene seems to play a role in the progressive hair loss experienced by individuals with hereditary hypotrichosis simplex, a rare condition that may manifest itself in the early years of childhood. Dr. Christiano is a professor of dermatology, as well as genetics and development, at the Columbia University Medical Center. For additional information, readers may visit Dr. Christiano’s faculty page on Columbia.edu. 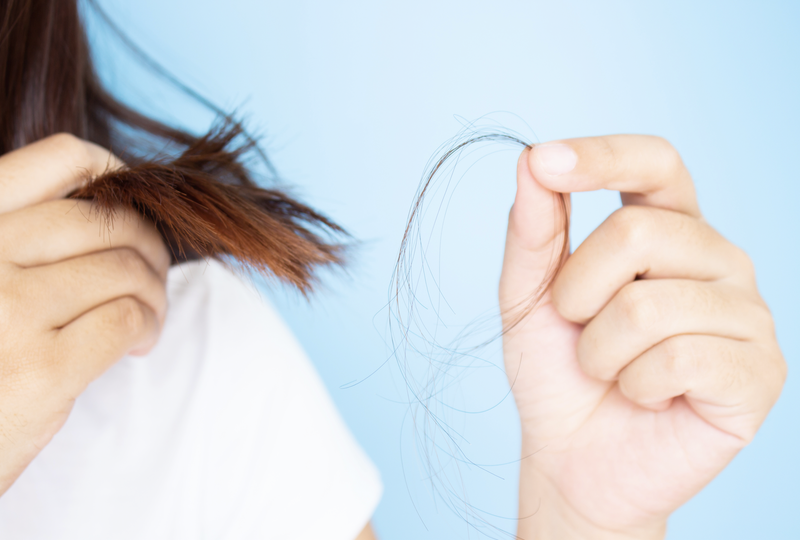 Although the gene seems to play a causal role in a very different type of hair loss, researchers believe studying the APCDD1 gene may eventually aid in the treatment of male and female pattern baldness, as well as other types of hair loss. This is due to the fact that APCDD1 causes hair loss through a process called hair miniaturization, which is the same process through which male pattern baldness progresses. To understand the concept of hair miniaturization, it is helpful to first understand how hair grows. Throughout our lifetime, hair grows from follicles located just below the skin. Follicles are the foundation through which hair receives the support, oxygen, and nutrients to grow. Hair grows in three distinct cycles: The growth phase, the shedding phase, and the resting phase. Hair loss professionals may refer to each of these stages as the anagen phase, catagen phase, and telogen phase, respectively. It is estimated that each strand of hair goes through a full cycle of growing, shedding, resting, and re-growing about 10-20 times over the course of a person’s lifetime. Hair miniaturization is a phenomenon in which hair becomes thinner and finer each time it progresses through the growth cycle described above. Eventually, the hair follicle may even become dormant, in which case new hair growth will cease entirely. Follow Miami_Hair on Twitter or Like Our Facebook Page to keep up-to-date with the latest hair loss news, research, and health guides! (i) Scientists Identify New Hair Loss Gene – APCDD1. Blog.americanhairloss.org. Accessed January 8, 2013. In an effort to find a cure for baldness, research teams from around the world are investigating ways to reawaken dormant hair follicles. These tiny bulb-shaped structures are located just beneath the surface of the skin (pictured left), and they supply growing hair with blood, oxygen, and other life-sustaining nutrients. When hair follicles become traumatized, damaged, or otherwise inactive, the growth of new hair stops and pattern baldness begins. In this way, an individual’s head of hair (quite literally) lives and dies by the health of the follicles beneath the skin. New research suggests that vitamin D, along with the receptors in the skin that bind to the nutrient, may play a significant role in promoting healthy follicles and hair growth. Thanks in part to wildly successful 1995 “Got Milk?” advertising campaign by Goodby Silverstein & Partners, we all know that the calcium and vitamin D in milk help develop strong bones and prevent osteoporosis. The health benefits of vitamin D were studied long before that campaign, but traditional research focused primarily on vitamin D and bone development. Now, however, new research shows vitamin D may be “crucial for the regeneration of hair,” (i). Hair transplant surgeons have also credited the receptors for vitamin D—the tiny “keyholes” in which the vitamin “keys” fit when being utilized by the body—as critical in promoting healthy hair follicle function. Researchers report that creating a vitamin D supplement to prevent hair loss is tricky, however. For one, too much vitamin D may cause calcium accumulation in the blood. In turn, calcium accumulation may cause weakness or problems with the kidneys. For this reason, researchers are “really aiming to manipulate vitamin D or vitamin D receptors only in the skin,” explains Dr. Oda of the VA Medical Center in San Francisco. This would help individuals better utilize the vitamin D in their system, rather than introduce more vitamin D at the risk of developing other health issues. And while a vitamin D supplement that cures baldness may seem futuristic and fanciful, there are technologies available today that are designed to promote natural hair growth by stimulating hair follicles. Enter: Low level laser therapy (LLLT) for hair. LLLT stands for low level laser treatment, and it is a relatively new and exciting technology for the medical world. LLLT uses safe, FDA certified lasers to stimulate cellular respiration by way of phototherapy. In turn, this increases the cell’s ability to produce energy. But how do laser-light exposure, enhanced cellular respiration, and increased energy production help to reverse hair loss? According to new research, an improvement in cellular respiration leads a series of biochemical reactions that stimulate the delivery of oxygen and nutrients directly to the hair follicle (vi). Most important is the ability of the patient to receive comprehensive LLLT exposure on a regular basis—usually 3 times per week for about 20 minutes per session. To learn more about hair restoration or low level laser hair therapy with the LaserCap™, please schedule an appointment with the Hair Transplant Institute of Miami. Readers are also invited to call our front desk at 305.925.0222 to speak directly with a friendly member of our office. At the Hair Transplant Institute of Miami, we understand that hair loss can impact your personal, social, and professional life. We’re committed to making a difference in the lives and well-being of our patients, and we look forward to exceeding your expectations with only the best technologies and most effective procedures. (i) Wang, Shirley S. “The Search for a Baldness Cure.” 12 September 2012. (ii) Brosseau, L.; Welch, V.; Wells, G. A.; De Bie, R.; Gam, A.; Harman, K.; Morin, M.; Shea, B. et al. (2005). Brosseau, Lucie. ed. “Low level laser therapy (Classes I, II and III) for treating rheumatoid arthritis”. Cochrane Database of Systematic Reviews (4): CD002049. doi:10.1002/14651858.CD002049.pub2. PMID 16235295. (iii) Jamtvedt, G.; Dahm, K. T.; Christie, A.; Moe, R. H.; Haavardsholm, E.; Holm, I.; Hagen, K. B. (2007). “Physical Therapy Interventions for Patients with Osteoarthritis of the Knee: an Overview of Systematic Reviews”. Physical Therapy 88 (1): 123–136. doi:10.2522/ptj.20070043. PMID 17986496. (iv) Chow, R.; Johnson, M.; Lopes-Martins, R.; Bjordal, J. (Nov 2009). “Efficacy of low-level laser therapy in the management of neck pain: a systematic review and meta-analysis of randomised placebo or active-treatment controlled trials.”. Lancet 374 (9705): 1897–1908. doi:10.1016/S0140-6736(09)61522-1. PMID 19913903. (v) Hamblin, Michael R. “Mechanisms of Low Level Light Therapy.” (2008): n. pag. Web. 17 Sept. 2012. (vi) Hamblin, Michael R. “Low Level Laser Light Therapy.” (2012). n. pag. Web. 17 Sep. 2012. Click Here to Read This Article.